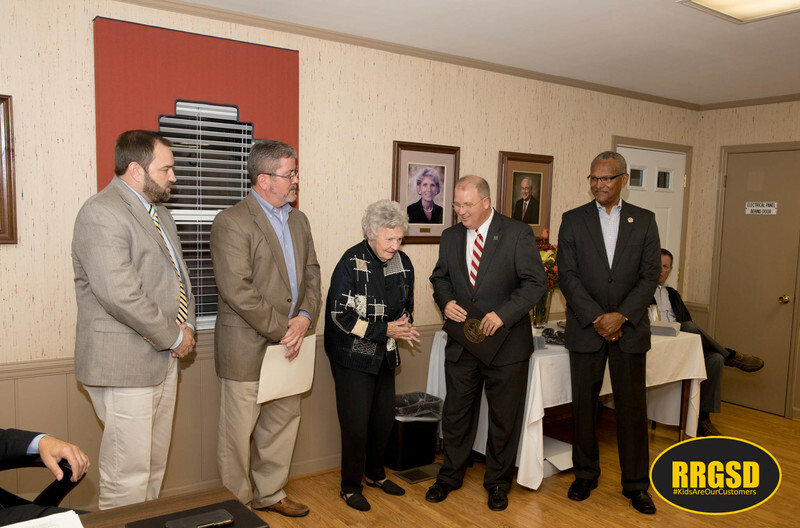 Longtime Roanoke Rapids Graded School District Trustee Jane Deese joined a prestigious list of North Carolinians Tuesday night when she was awarded the Order of the Long Leaf Pine, the highest honor the state can give for those with a proven record of service. 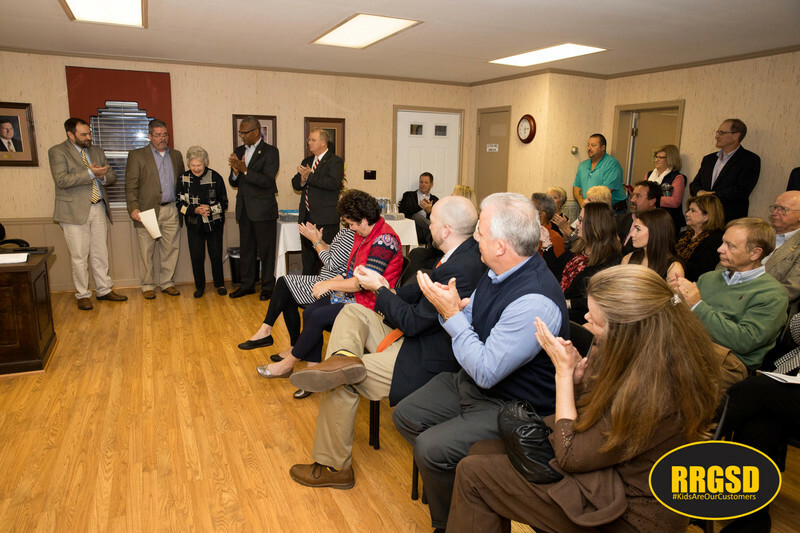 State Representative Michael Wray and Halifax County Commission Chairman Vernon Bryant presented the plaque to Deese at her final board meeting on behalf of Governor Roy Cooper. Jane attended Rosemary Elementary School, and Roanoke Rapids High School. She graduated in 1955. After high school, she attended Saint Mary’s College (1955-1957) and the University of North Carolina at Chapel Hill (1957-1959). She graduated in 1959, and began her teaching career in Lynchburg, Virginia. She taught at EC Glass High School, and then became Art Supervisor for Lynchburg City Schools. During that time, she taught art classes on TV. Her students winning multiple awards (1st, 2nd, and 3rd along with several honorable mentions) in Art Contests and the Keep Virginia Green contest was the highlight of her teaching career. Jane later completed her M.Ed. at Lynchburg College and East Carolina University. She moved back to Roanoke Rapids where she taught art for Roanoke Rapids Graded Schools and Halifax County Schools. She married Ed W. Deese on June 24, 1970. They had one daughter, Sarah. Jane retired in 1989 after 30 years of teaching from Northwest Halifax High School (Halifax County Schools). After her retirement, she ran for the Roanoke Rapids Graded School District School Board of Trustees in November of 1989, and has served a remarkable 28 years on the board. She has been active in her tenure on the board, serving on many committees. A major contribution to the district has been serving as the Chairman of the Policy Committee for many years, ensuring the district is in compliance with Federal and State laws. She has attended countless North Carolina School Board Association conferences and district meetings through the years. Jane has been an active member of the Halifax County Arts Council, the Woman’s Club, and the Roanoke Rapids High School Alumni Association. “Ms. 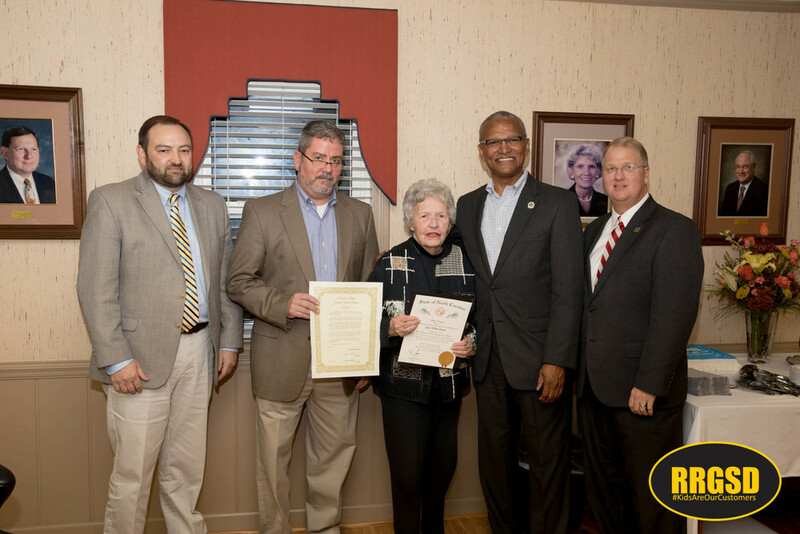 Deese has dedicated nearly 60 years of her life to serving children. I cannot think of a better person to receive this honor,” said Board Chairman Jay Carlisle. In a lighthearted remark, Deese presented the board with a framed one dollar bill saying she wished RRGSD and the board the best and wanted them to always have money on hand. Created in 1965, the Order of the Long Leaf Pine is unique to North Carolina, and its recipients are chosen based on their contributions to their communities, extraordinary careers and many years of service. Participation in extracurricular activities, including athletics, is a privilege, not a right. The RRGSD expects all students who represent RRHS through participation in extracurricular activities to be good representatives of their school community. Students should dress and conduct themselves in a way that reflects positively on RRHS. Each student is expected to display good citizenship at all times. Taunting is expressly prohibited. Taunting includes actions or comments that are intended to bait, ang er, embarrass, ridicule, or demean others, whether or not deeds or words are vulgar or racist. Any student who fails to conduct himself or herself appropriately may have the privilege of participation limited or revoked. Misconduct includes inappropriate behavior while an athlete is involved in any way with an athletic department program, including practice, games, and travel. Insubordination, impudence, insolence, or other examples of defiance toward coaches, officials, bus drivers, or others in authority that have responsibility for athletes’ safety are examples of misconduct. Such behavior will not be tolerated. Specific punishments cannot be listed because of varying circumstances. The severity of the infraction and the athlete’s reaction to being corrected provide too many variables. The Coaches, Athletic Director, and Principal will handle individual instances in a manner that seems best suited to the situation. Athletes should note that appropriate responses by the Coaches, Athletic Director, or Principal could range anywhere from a verbal reprimand to suspension or expulsion from the team. Trustees also approved a three year lease to upgrade all teacher laptops and initially reviewed the draft 2018-19 school calendar. The calendar will be considered for approval at the December board meeting.